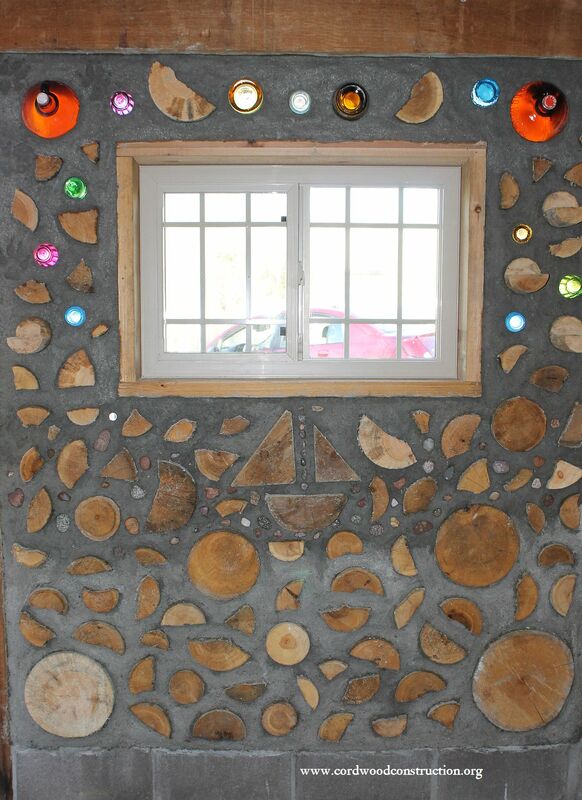 Tony and Denise built this beautiful cordwood sauna during their summer weekends. 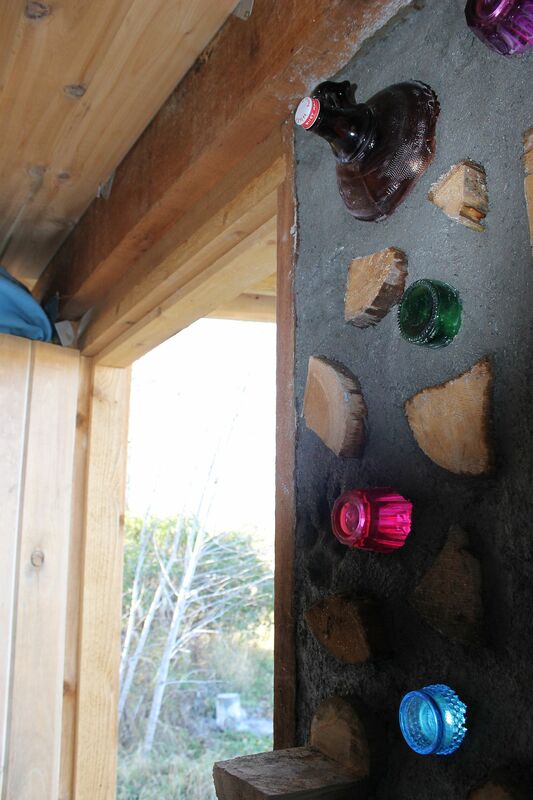 They felt confident after taking a cordwood workshop. 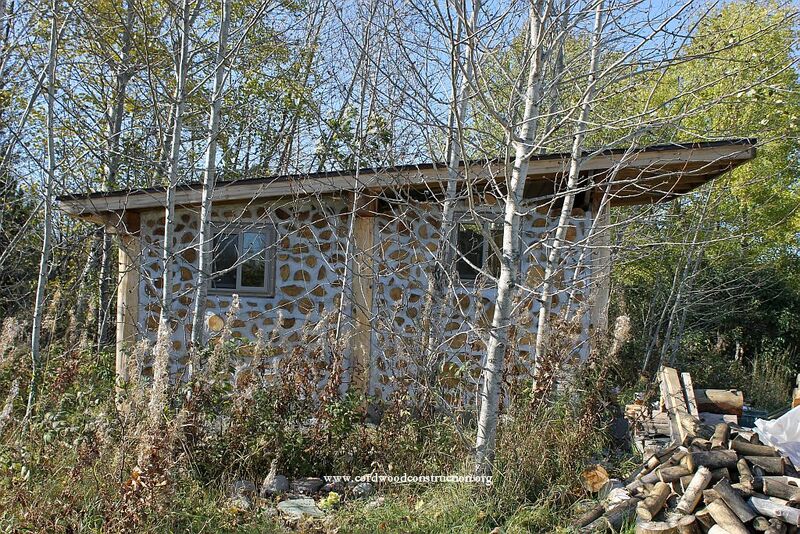 Visiting their property on Minnesota’s Iron Range they patiently put in the foundation, framed the sauna and then added the cordwood infill. Finished in the Fall of 2014, they are very pleased with the result of their labors. 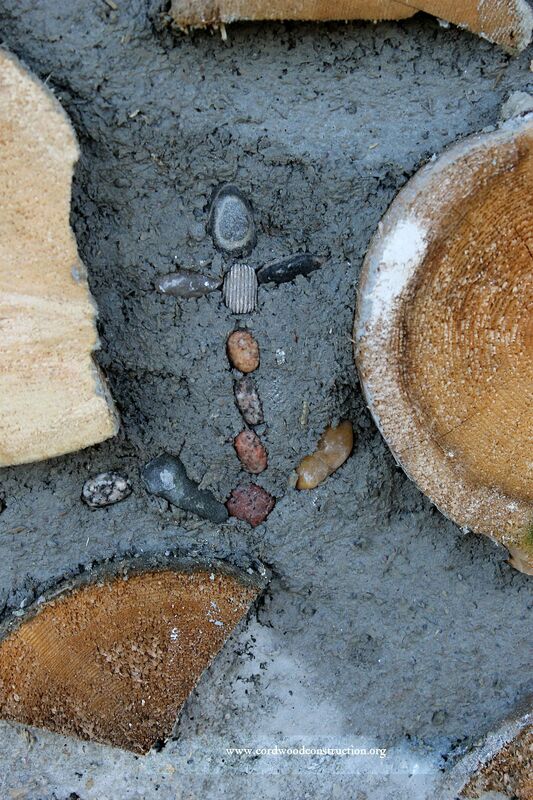 Here are some dazzling pictures of the result. They put two benches for resting on the bottom row of cordwood. 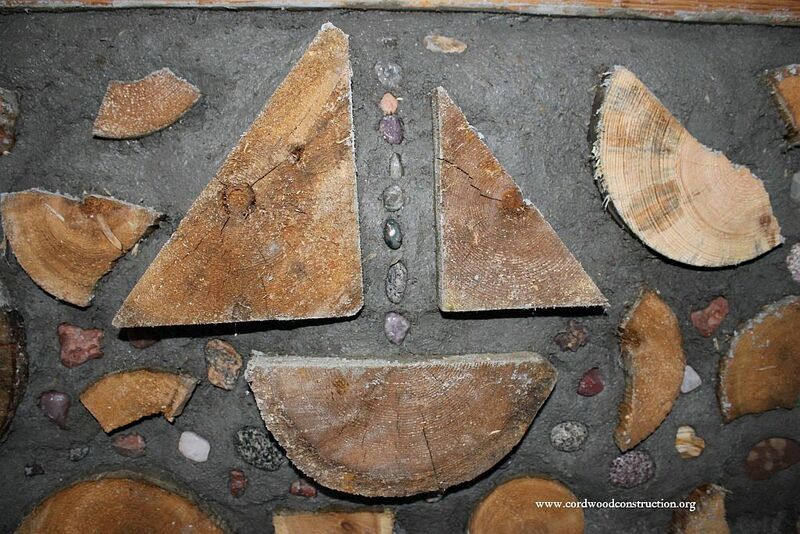 They placed some amazing “effects” into the wall, including a sail boat! Their favorite view as they approach their sauna. 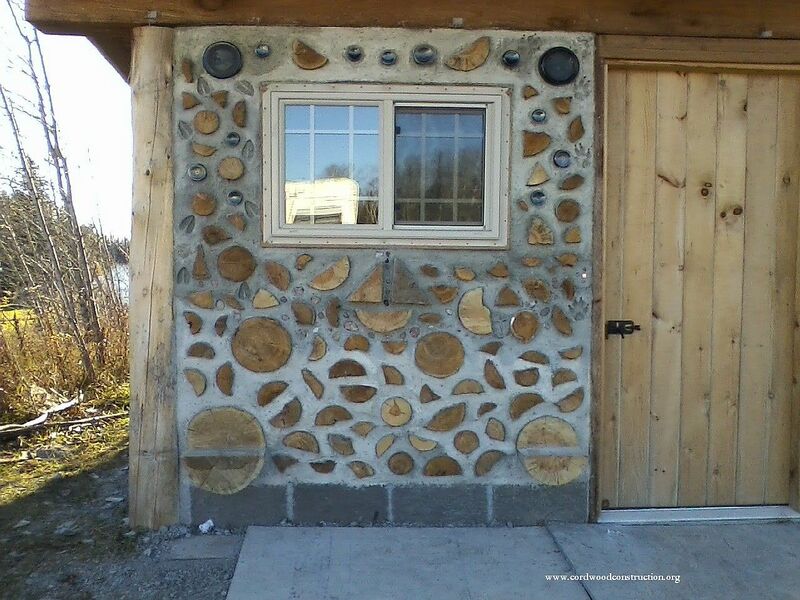 An outstanding job of cordwood building; Tony & Denise are rightly proud of their creation which they will use during vacations and weekend excursions to their land. 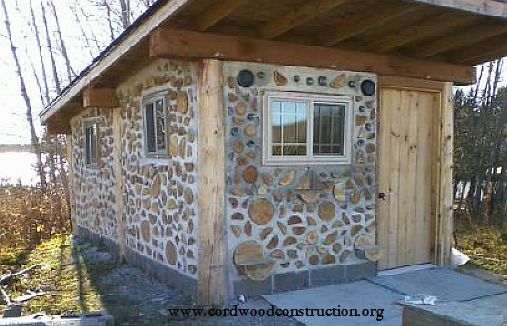 To learn how to do this, you may want to read the book “Cordwood Construction Best Practices” available from the Onine Cordwood Bookstore at www.cordwoodconstruction.org It is available in ebook, print and CD. 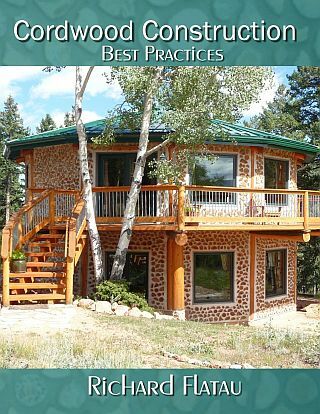 Cordwood Construction Best Practices available in print & ebook at www.cordwoodconstruction.org online bookstore.